Distributor: Evergreen Enterprises, Richmond, Va. Hazard: The pourable gel fuel can ignite unexpectedly and splatter onto people and objects nearby when it is poured into a firepot that is still burning. This hazard can occur if the consumer does not see the flame or is not aware that the firepot is still ignited. Gel fuel that splatters and ignites can pose fire and burn risks to consumers that can be fatal. Incidents/Injuries: Evergreen Enterprises is not aware of any reports of incidents involving Fireside Gel Fuel. Remedy: Consumers should immediately stop using the pourable gel fuel and return the gel fuel to the company for a full refund. Importer: General Electric - Appliances, of Louisville, Ky. Hazard: Burners on Rangetops operating on liquefied petroleum ("LP" or propane) may fail to ignite or light if the gas control knob is left in a position between OFF and LITE, posing a risk of delayed ignition or explosion. Incidents/Injuries: GE has received six reports involving explosions in units operating on LP gas, including reports of damage to kitchen cabinets beneath the Rangetop. No fires or injuries have been reported. Description: The Grill units operate on liquefied petroleum ("LP" or propane) or natural gas. 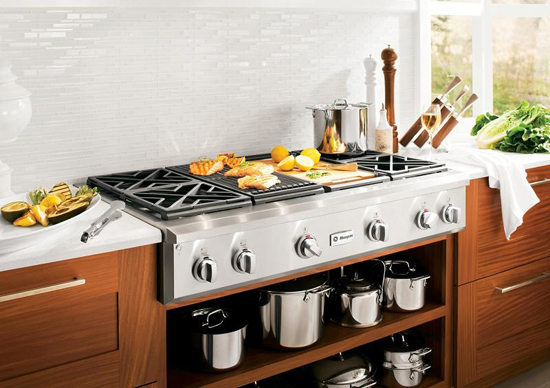 The Rangetop units are either 36 or 48 inches wide with a stainless steel finish and the GE MonogramÂ® badge located on the front center of the unit. The burner control knobs are located on the front panel that overhangs the cabinet. 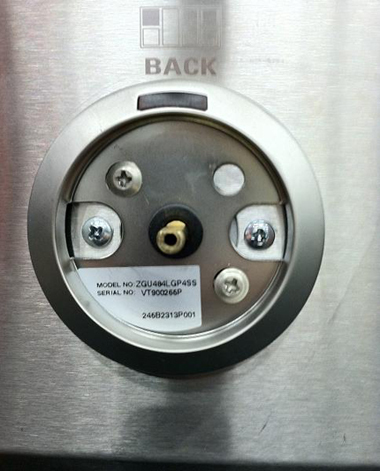 The model and serial numbers can be found on a label located behind the far left burner knob, or on the bottom of the unit. All LP models and only natural gas models that have been converted for use with LP gas are included in the recall. GE will notify known owners of natural gas units and provide a free repair for any consumers who converted their Rangetop with Grill to LP gas. Sold by: General Electric authorized representatives and distributors nationwide from May 2008 through August 2011 for between $3,400 and $4,700, as determined by retailers. Remedy: Consumers who are operating the product on LP (propane) gas should stop using the product immediately, turn off the gas supply to the product, and contact GE to schedule a free repair. Manufacturer: DAIMLER BUSES NORTH AMERICA, INC.
DAIMLER BUSES IS RECALLING CERTAIN MODEL YEAR 2008 THROUGH 2011 ORION VII LI-ION HYBRID TRANSIT BUSES MANUFACTURED FROM JULY 2008 THROUGH AUGUST 2011 AND MODEL YEAR 2006 ORION VII LI-ION ESS TRANSIT BUSES MANUFACTURED FROM MAY 2006 THROUGH MAY 2007, CONTAINS BAE SYSTEMS (BAE) LITHIUM ION ENERGY STORAGE SYSTEM (ESS). OVER TIME, PARTICULATE DEBRIS CAN ACCUMULATE IN THE HYBRID SYSTEM'S LI-ION STORAGE SYSTEM (LI-ION ESS). ACCUMULATED DEBRIS IN CONJUNCTION WITH MOISTURE CAN BREACH THE ELECTRICAL ISOLATION OF THE HIGH VOLTAGE BATTERY PACK. A CONDUCTIVE PATH CAN BE CREATED IF THE ELECTRICAL ISOLATION IS BREACHED AT BOTH ENDS OF THE BATTERY. THIS CAN RESULT IN THE UNINTENTIONAL DISCHARGE OF THE BATTERY'S STORED ENERGY, CREATING A RISK OF SMOKE, MELTING AND CHARRING, POSSIBLY RESULTING IN A FIRE. ORION WILL NOTIFY OWNERS AND THE REPAIRS WILL BE PERFORMED BY BAE SYSTEMS FREE OF CHARGE. THE SAFETY RECALL IS EXPECTED TO BEGIN DURING JANUARY 2012. OWNERS MAY CONTACT DAIMLER BUSES NORTH AMERICA AT 1-905-403-1111. Summary: MOLLY IS RECALLING CERTAIN MODEL YEAR 2006 AND 2007 TRANSIT BUSES BUILT ON FORD AND FREIGHTLINER CHASSIS AND EQUIPPED WITH CARRIER GENV EM-1 EVAPORATOR UNITS. DUE TO TIME, TEMPERATURE, AND/OR VIBRATION, THE FUSE MAY LOOSEN IN THE FUSE HOLDER RESULTING IN HIGH RESISTANCE AND ARCING. Consequence: IF SUFFICIENT ARCING OCCURS, THE FUSE HOLDER MAY MELT, AND A VEHICLE FIRE MAY OCCUR. Remedy: MOLLY WILL NOTIFY OWNERS AND PROVIDE INFORMATION ON HOW TO OBTAIN THE RETROFIT KIT FROM CARRIER ALONG WITH REPAIR INSTRUCTIONS. THIS SERVICE WILL BE PERFORMED FREE OF CHARGE. THE MANUFACTURER HAS NOT YET PROVIDED AN OWNER NOTIFICATION SCHEDULE. (SEE CARRIER'S RECALL CAMPAIGN 11E-003.) OWNERS MAY CONTACT CARRIER AT 1-800-793-4741.